Hummingbirds are found only in the Western Hemisphere, from southeastern Alaska to southern Chile, although most live in the tropics. There are 320 species of hummingbirds, 12 of which summer in North America and winter in tropical areas. 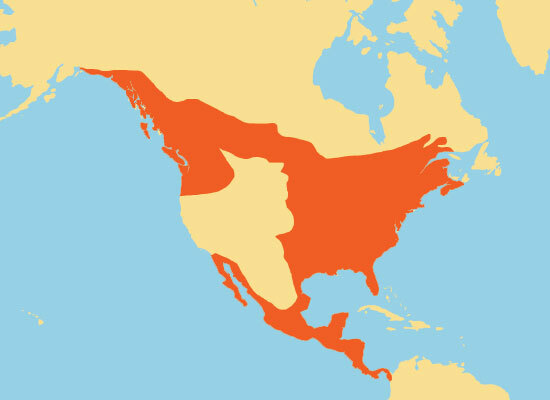 This range map shows the range of the Ruby-Throated and Rufous Hummingbird, two hummingbirds most common to the United States.